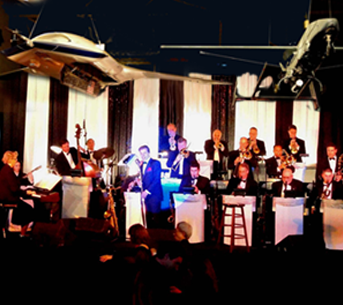 Vaughn has performed his Frank Sinatra tribute show with many symphony orchestras including a number of appearances with The Capistrano Valley Symphony as seen in this video. It's easy to see why Vaughn Suponatime is one of America's most requested Frank Sinatra impersonators. 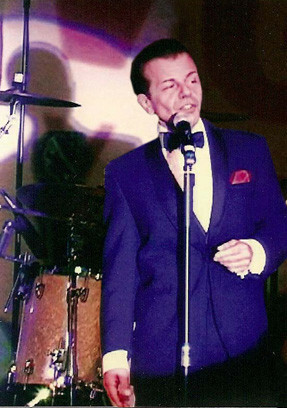 As a younger Frank Sinatra look alike and a natural Sinatra sound alike, Vaughn's celebrity tribute show spans the musical career of "The Chairman of the board" from the Big Band days through the Rat Pack nights and beyond. Between the songs, this Sinatra double peppers his show with jokes about Las Vegas and his buddies in the Rat Pack show, Sammy Davis Jr. and Dean Martin. Musically, the evening builds to a climatic rendition of "My way" followed by a rousing version of "New York, New York" with the audience sometimes forming a spontaneous "kick-line". The Smithsonian National Air & Space Museum Washington D.C. The pleasure was all ours! We sure did have fun. Connie really enjoyed serving as your Music Director. Your show is truly a trip down memory lane with some of the best music arrangements ever written. Your talent is remarkable! The sound, look and stage presence you portray is Sinatra all the way. We absolutely need to have a repeat performance. On behalf of Radio City and Sinatra Enterprises, I cannot thank you enough for the fine work you did with us in the preparation of SINATRA: His Voice, His World, His Way at Radio City Music Hall. My only regret is that we couldn't more thoroughly avail ourselves to your many talents. You were a professional through and through. From initial phone call through the final day of shooting you were a gentleman, prompt, diligent and a pleasure for all of our departments (make-up, wardrobe, production) to work with. The result was spectacular. Thanks again. I look forward to future associations! I want to personally thank you for your wonderful and memorable performance at the Frank Sinatra Compound in Rancho Mirage last March. Our guests were from all over the world and felt your performance was the highlight of their visit to the United States. I understand that this was the first time an entertainer like you has been to the compound since Mr. S left. You were such a success that I know this will not be the last time you perform at the compound. 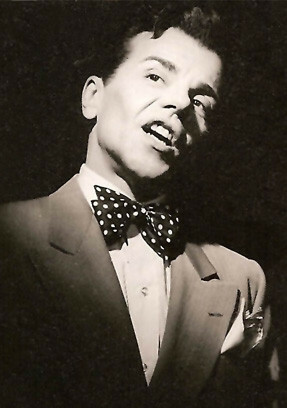 Selected out of all the other Frank Sinatra imitators in the country, Vaughn was chosen to take part in “Sinatra: His Voice, His World, His Way”, a multimedia event, produced and performed at Radio City Music Hall in New York City. This Sinatra impersonator has appeared on N.B.C.’s, “Las Vegas” and “Jimmy Kimmel Live” on A.B.C., as a celebrity look alike and has done stand-up comedy on “An Evening at the Improv” for A&E, as well as multiple appearances on “The Tonight Show”. Corporate entertainment talent bookers have engaged this Sinatra impressionist as their special event entertainment in some of the most prestigious venues in America including, The Smithsonian National Air & Space Museum in Washington, D.C. and the N.B.A. All-Star Game at the Phillips Arena in Atlanta, GA. This talented Sinatra mimic has also sung at The Hollywood Palladium in Hollywood California, Merv Griffin’s Coconut Club, in Beverly Hills and has performed his celebrity impersonator show at the Elizabeth Taylor Estate and the Dolly Sinatra Pavilion in Palm Springs Ca. 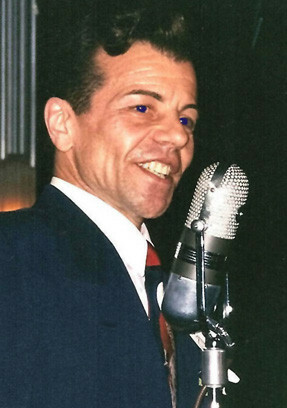 Today, Vaughn is honored to be a recurring Sinatra impersonator at both The Frank Sinatra “Twin Palms” Estate in Palm Springs and the “Compound” in Rancho Mirage, CA…and was the first singer to perform there since Mr. S. left. 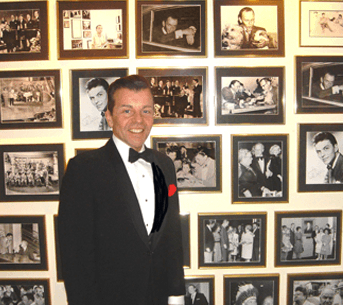 A favorite among Las Vegas talent agencies and special event planners, Vaughn has worked at every major hotel on the “Vegas strip”, sometimes joining in with other Rat Pack impersonators for a Rat Pack tribute show. 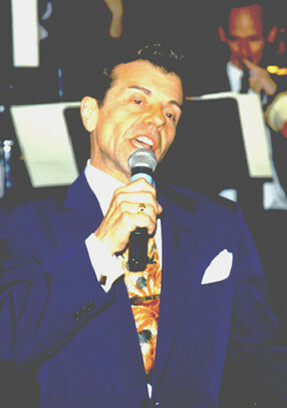 He has appeared as a Frank Sinatra tribute artist for “Legends in Concert” and has provided corporate event entertainment at The Bellagio Hotel, The Paris Hotel, Mandalay Bay, The Mirage, The Venetian, Bally’s, The Orleans, The Riviera, The Four Seasons, Caesars Palace, New York, New York, Wynn’s Hotel, and the M.G.M. Grand. Talent agents and event planners agree, when it comes to popular party entertainment, Vaughn Suponatime’s Sinatra tribute show is the perfect choice for fundraisers, retirement parties, reunions, holiday parties and award banquets. He is also available for private parties, birthdays, anniversaries, and as wedding entertainment. 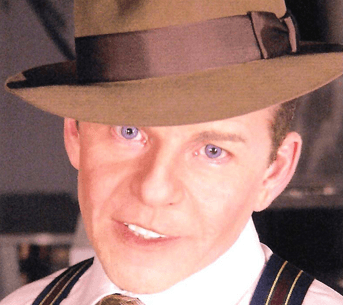 Whether singing with a symphony orchestra, a big band, an eight piece group, just a piano player or to CD background tracks, no other Sinatra impersonator embodies the legend of the “Old Blue Eyes” throughout his entire career. NOTE: Vaughn carries his own liability insurance.